Aspirin is not an adaptogen (it acts unilaterally) , but it is relatively harmless for most people even with long-term administration. With its anti-inflammatory action, it also reduces cell damage in stroke and ischemia, so both of its main effects are in the prevention of thrombosis and stroke. It seems to have some preventative effect on tumors at moderate doses, which is probably related to its anti-inflammatory effect. At high doses, aspirin is not recommended. 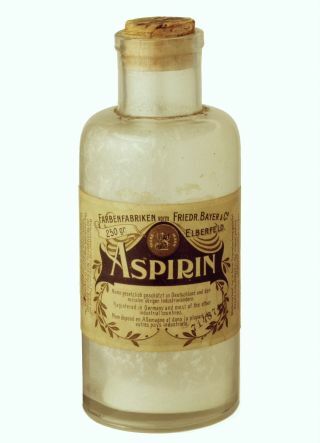 Aspirin (acetylsalicylic acid), which is available without prescription, was introduced in the Guinness Book of Records as the best-selling medicine in the world in the 1950s. Aspirin can be combined with anti-inflammatory adaptogens ( ginseng , ginger , bajkal , and vitamin C ). The use of adaptogens, which are more balanced than the one-sided, allosteric aspirin, will make it possible to achieve a therapeutic effect even at lower doses of aspirin. This avoids its undesirable effects and gains the other positive health effects that these adaptogens have. Ginseng is a model adaptogen that protects and aids many diseases. On the other hand, the ginseng suffers from the "all-pervading" attribute, which is now just an overflow. This attribute was once meant seriously and positively - and even the generic name Panax means literally everything. However, today the inadequate "specialization" of the drug (which is the rule of adaptogens) is suspicious. Additionally, the definition of the adaptogen (especially those who do not want to understand it) is suspected of being nothing more than an attempt to wrap the notion of panacea into scientific gown. In an era of molecular pharmacology, an explanation of a specific mechanism of action is needed to refute the suspicion of fraud, exaggeration, and panacea. It turns out that in this situation it is very appropriate to compare ginseng with a substantially simpler "pancreas" - aspirin. As for aspirin, there is no doubt about its effectiveness and mechanism of action. Aspirin has only two main effects (it reduces inflammation + fever and dilutes blood), but it is used in a large number of inflammatory and fever illnesses and is used on a mass scale. Aspirin belongs to those cheap medicines that people use very often and some even constantly. Under another name (like Stacyl ), it is also used to treat blood thinning in the fight against thrombosis , ie people use it virtually constantly. In the Czech Republic, more than 100 tonnes of aspirin are consumed per year, while ginseng consumption is scarce. The quantitative comparison of ginseng and other common drugs is similar.